Last week was pretty busy. 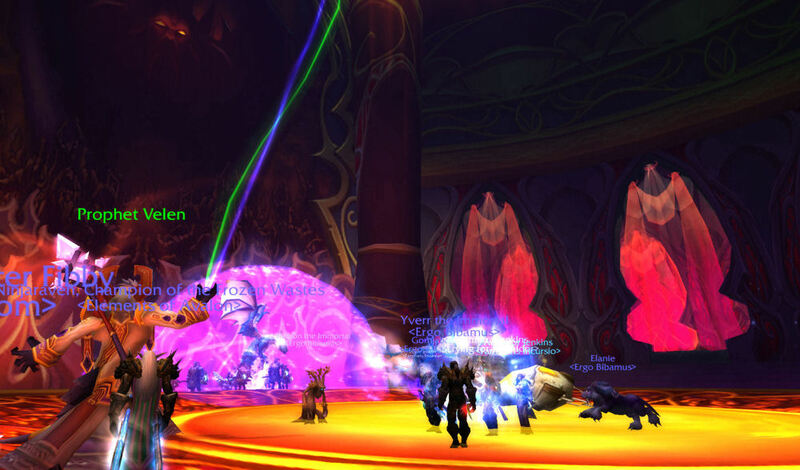 It of course all started on Tuesday with the Argent Tournament, continued Thursday with 10 man Ulduar, progressed Friday with 25 man full clear Naxx and 2 attempts at Flame Leviathan, extended to Sunday with a Sunwell clear, and finished yesterday with more advancement in the Argent Tournament. Back to Friday, we quickly gathered up and discussed what our next move would be. 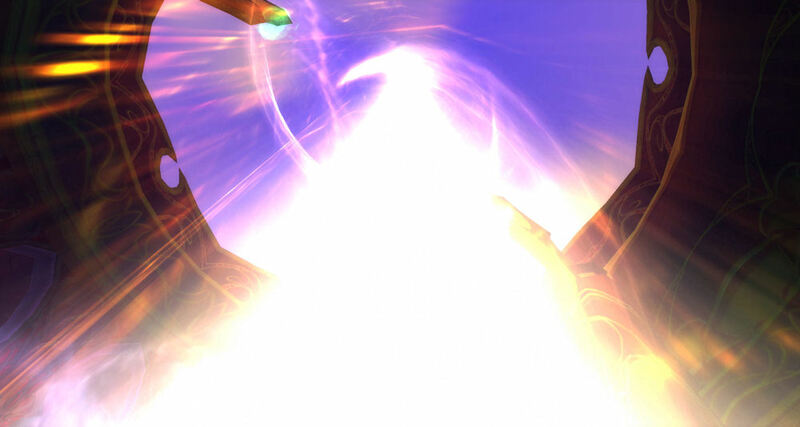 Would we concentrate on 25 man Ulduar, or continue for a few weeks in Naxxramas, continuing to gear up players and, maybe more importantly, get gear for secondary specs. It was decided we would stay in Naxxramas for 2-3 weeks and gear people up as the week before was our first time downing Kel'Thuzad (progress bars on the right updated). 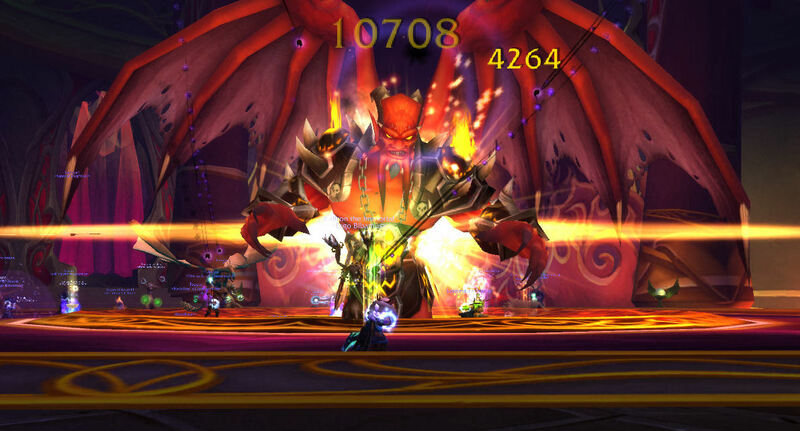 So we pressed forward and cleared Naxxramas in record time. The week prior, we had taken time on Thursday to clear the Spider wing, whereas on Friday, we cleared the whole place in under 3.5 hours - a very good time for us. We had two wings down in under 1 hour. So with our record time, we decided to head over to Ulduar to see what was going on there. We quickly formed up, explained the first fight and promptly...wiped on trash. 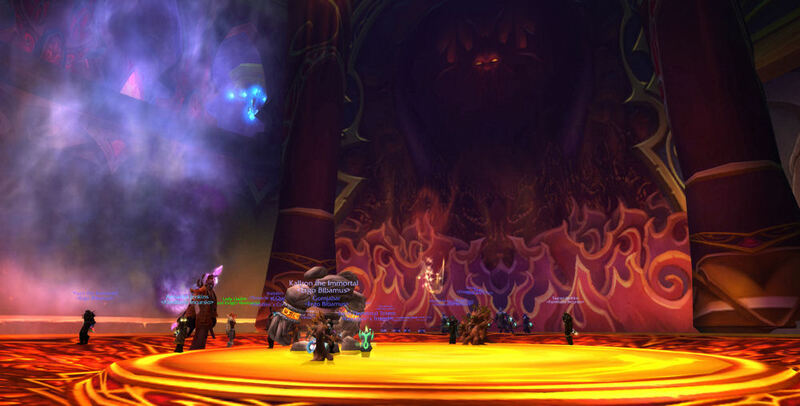 We just got too spread out, so on our next attempt, we stayed together and easily made it to the Flame Leviathan. Unfortunately, some people had issues with their vehicles and we also had problems picking people up after they had jumped on the Flame Leviathan. So we didn't get him down on the two attempts we had before we had to call it for the night. I'm looking forward to having more time in there - we should be able to easily take out the Flame Leviathan, but I can see issues with XT-002 already (it's a healer check) and I'm hoping Razorscale is a little bit easier on 25 man than it is on 10 man. Which leads us to Monday. After quickly completing the daily cooking quest in my search for a Chef's Hat (I'm now over half way there), I headed up to the Argent Tournament ready to become a Champion! I quickly completed the dailies, bested a Champion in a joust, and earned my title. Tiddlywinks of Gnomeregan. With the Champion title achieved, it was time to work for another faction. 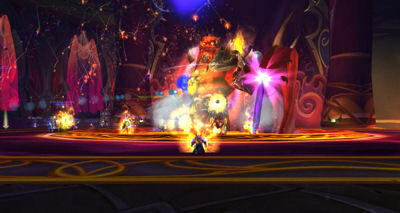 Ironforge just happened to be standing right there, so I went to work for them. He only had one quest for me on the day, so I headed over to the main tent to see what else I could do. Ah yes, the Black Knight! I accepted the challenge, went outside and picked a steed and awaited the Black Knight. And what happened next? I demolished him. Pretty disappointing. I feel like this was a real opportunity wasted - so did my other guildmates who bested him yesterday. But hey, it's 10 more achievement points, upping my total to 5,860. After that, it was time to work on getting some more Champion's Seals. The quests are getting a bit tougher this time around. The jousting opponents are much tougher and trying to work your way through the boneguards near the Citadel is a bit tougher. But all the quests were completed, even the group quest with the help of the wonderful Vetarra and I got my 5 seals, bringing me to 15. 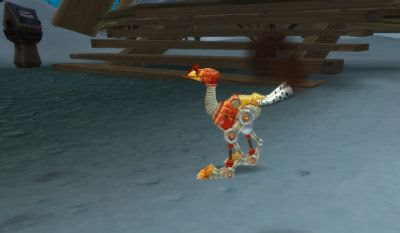 Just a few more days and I'll be able to get my Mechanopeep! Hey Tid, I'm right there with ya on those Argent Tournament Dailies. Look me up if you ever need a tank for the group quest.